Algae blooms are the rapid growth and build up of phytoplankton, a small and simple, free-floating water plant, in either freshwater or saltwater. Algae blooms are sometimes called red tides because of the tint the bloom gives the water. However, the blooms are neither tidal nor exclusively red. Algal are the bottom link of the food chain, and play an important role in any water ecosystem. But an algae bloom can be too much of a good thing. The excessive amounts of algae can pose risks to the surrounding plant and animal life as well as humans who use the water for fishing or recreation. Algae blooms are natural occurrences triggered by increased water temperature and sunlight that provide perfect growing conditions for the tiny plants. However, many scientific organizations, such as the National Oceanic and Atmospheric Administration, are now looking more closely at the types of human activity that has contributed to the significant increase in recent algae blooms. Among the causes for concern are nitrogen and phosphorus-rich fertilizers used on farm fields and residential landscaping. Rain washes the fertilizers into water systems where they feed different species of algae. 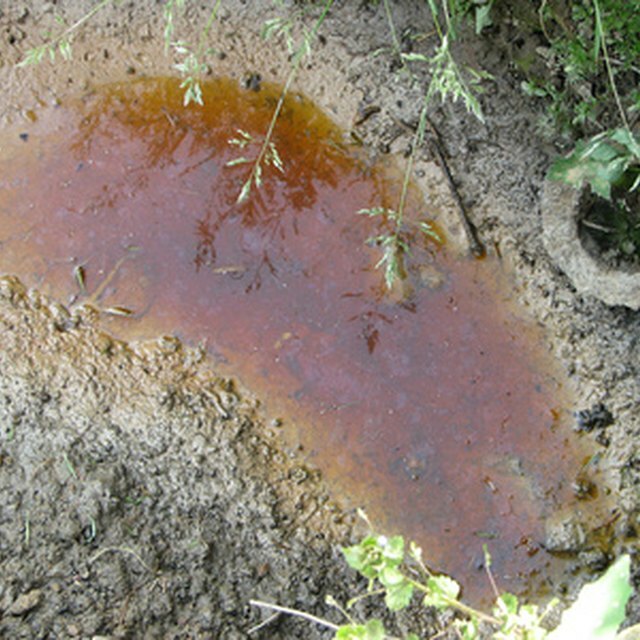 Waste water from leeching septic systems and municipal sewage plants also release excess nutrients into waterways that can stimulate algal growth. Scientists with the international environmental organization, Sea Web, suspect climate change also may be playing a role in algae blooms. Of the thousands of species of algae, a relatively small number release toxins that poison surrounding aquatic life. The excessive growth of these varieties are known as harmful algal blooms. In some cases, the toxins from algae work their way up the food chain killing turtles, dolphins and other animals that ingest the toxins directly or through intermediate species that feed on algae. Humans are vulnerable to algal that collects in shellfish, such as clams, mussels and scallops, harvested for commercial use. Infected shellfish can cause paralytic shellfish poisoning that affects the nervous system and can shut down breathing and result in death. A cyanobacteria, or blue-green algae bloom, is sometimes referred to as pond scum. The thick, foamy blanket of algae poses health risks to humans and domestic pets. Blue-green algae blooms can cause skin irritations such as blisters and hives. If water containing the algae is inhaled or swallowed, it can cause serious liver, kidney and neurological problems that can be deadly. Algae blooms also cause problems within an aquatic ecosystem. Excessive growth of algae can block sunlight and stunt the growth of other plants, which may provide important habitats for aquatic animals. Algae also can collect in the gills of fish and other animals and choke off their breathing. When significant algal blooms die and decompose, they can deplete most of the available oxygen within an area or aquatic system making it uninhabitable for other forms of life. Science only recently began studying the causes and effects of algae blooms. While there is still much to learn about the biological mechanisms, the economic consequences are clear. Commercial fishermen, shellfish harvesters, seafood dealers and restaurants collectively lose millions of dollars when algal blooms shut down fisheries. Tourism and recreational industries suffer when algal blooms on coastlines and lake shores keep people away from the water. Scott, Laura. "What Are Algae Blooms?" Sciencing, https://sciencing.com/algae-blooms-8266246.html. 25 April 2017.